This is a Prince George's County dental malpractice wisdom tooth removal case. The gist of the claim is that a dentist does not have the experience and training to remove a deeply impacted wisdom tooth. The Complaint alleges a preoperative CT scan should have been done, which would have allowed the dentist to visualize the patient's inferior alveolar nerve which was injured during the procedure. This case was filed on February 2, 2016. It is the 2nd dental malpractice case filed in Maryland in 2016 and the 46th medical malpractice case. Plaintiff presents to Defendant dentist for treatment. Defendant dentist determines that Plaintiff requires removal of her 3rd molars, more commonly referred to as wisdom teeth. The Defendant dentist takes a panoramic radiograph of Plaintiff's mouth and notes that her molars are full bony impacted. One of the molars, tooth #32, is deeply impacted. When a molar is deeply impacted, the dentist is supposed to refer the patient to an oral surgeon. Oral surgeons have much more education, training, and experience in the extraction of deeply rooted molars than dentists. Without the benefit of a CT scan, or the education, training, or experience of an oral surgeon, Defendant dentist extracts tooth #32. During the procedure, he traumatizes Plaintiff's inferior alveolar nerve. This nerve runs within the lower jaw through a canal that supplies the feeling to the lower jaw as well as the teeth on the same side as well as the skin of the lower lip and chin on that side. An impacted wisdom tooth like this one may have it roots in proximity to that nerve. After the procedure, Defendant dentist fails to prescribe steroids, a well-known treatment for nerve injuries if administered shortly after the injury. Defendant dentist also fails to refer Plaintiff to an oral surgeon specializing in nerve repair. Plaintiff files a dental malpractice lawsuit in Prince George's County. 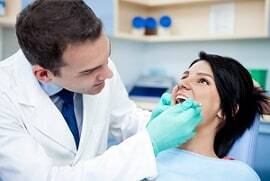 The lawsuit alleges that Defendant dentist violated the standard of care by failing to (1) refer the woman to an oral surgeon for the procedure, (2) take proper precautions to avoid impact with the nerve including ordering a CT scan, and (3) refer the woman to an oral surgeon post-op. As a result of the nerve injury the woman sustained, an area of her mouth and tongue are permanently numb and painful. The injury interferes with her ability to bite, chew, and have proper use of her tongue for other functions. Failed to refer the woman to an oral surgeon post-op. David S. Ross, DDS - board certified in oral and maxillofacial surgery; engaged in private practice dentistry for more than 35 years; attends patients at MedStar Washington Hospital. One big question is whether the patient should have been referred to an oral surgeon for the extraction of an impacted wisdom tooth because this is beyond experience and skill or an ordinary dentist. Certainly, the dentist has a financial motivation to do the work themselves. Plaintiff's claim is that the dentist should have taken a pre-operative CT scan to determine the exact location of the inferior alveolar nerve since he was not certain of its exact location. The challenge with selling a jury on this argument is that many jurors are going to have had impacted wisdom teeth removed without a CT scan. Nerve grafting can be an option to help repair the damage to the nerve in a case like this. The cost of the repair can be upwards of $50,000. If you have been a victim of dental malpractice, our law firm handles serious injury and wrongful death cases. Find out what we can do for your child today by calling 800-553-8082 or get a free, no obligation online case review. Hagerstown dental malpractice claim involving an allegedly botched wisdom teeth procedure that causing a nerve injury.